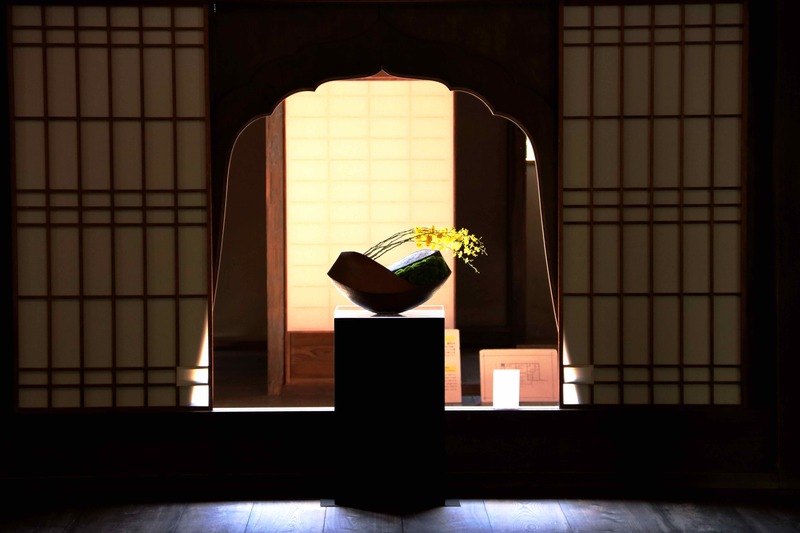 Presentation of traditional and daily pieces like sake bottles, tea accoutrements, flower vases, and so on. 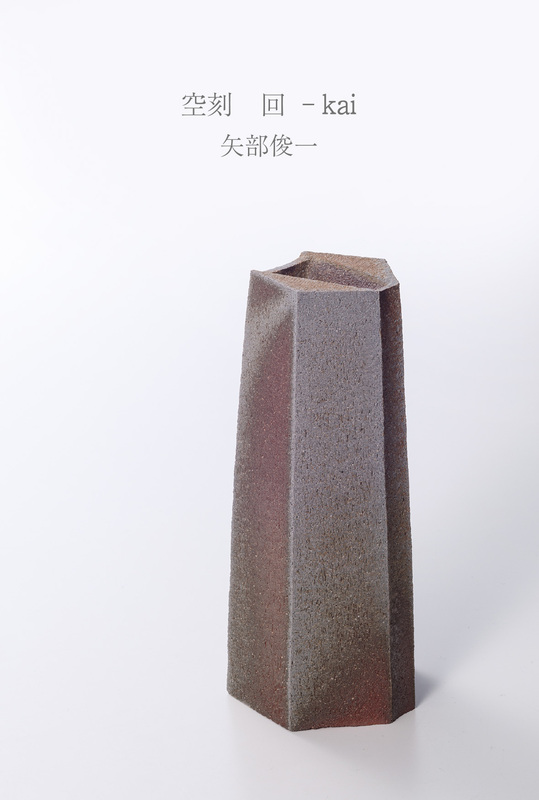 Unique plastic art by the potter, Shunichi Yabe, who exemplifies the traditional bizen style. 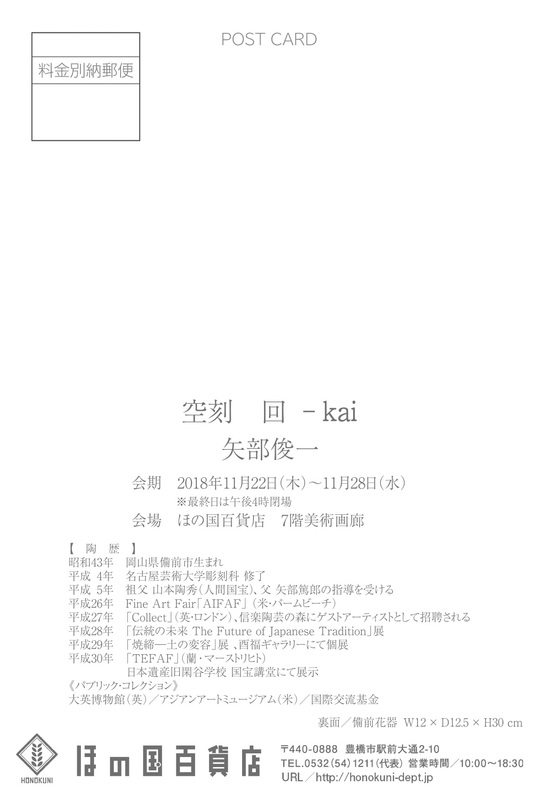 Plastic arts which harmonize the strong presence of ornaments and functional beauty.